According to Fred. J. Melville, a writer for The Straits Times, he suggested the date of the first stamp issued in Kelantan was 23 January 1911. Kelantan has been, or shortly will be, provided with special stamp, says a philatelic write in the Telegraph. 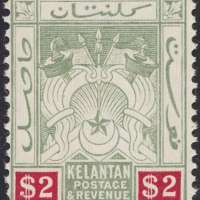 Up to now it has been persistently stated that only Trengganu was to have distinctive stamps, Kelantan and Kedah using the stamps of the postal administration of the Federated Malay States. 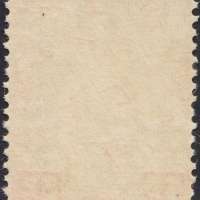 The news of Kelantan's stamps comes from the well-informed Schweizerische Philatelistische Nachrichten, which, being conducted from Berne, the postal centre of the world, frequently learns of such intended issues even before the stamps have actually reached the country for which they have been prepared. I have already suggested, the writes observes, that the States, other than Trengganu, would not be content to leave that State of philatelic field to itself, but the news that the stamps are ready for Kelantan will be none the less a surprise. The design is stated to include various emblems, "flags, spears, a star and crescent, etc." and the values are, 1 cent green, 3 cents purple, 4 cents grey-black and lilac, 30 cents lilac and carmine, 50 cents grey-black and orange, 1 dollar dull green and emerald green, 2 dollars dull green and carmine, 5 dollars dull green and ultra-marine, 25 dollars dull green and orange. It will be remembered that H.H. 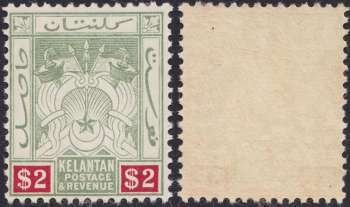 the Sultan was understood to have been somewhat unhappy about the "emblems" design for the first Kelantan stamps in 1911. His royal colleague of Trengganu was portrayed on the new stamps for the neighbouring State (of Trengganu), and he appears to have considered that his own portrait was equally appropriate for Kelantan. Who chose the "emblems" design I do not know, but it is to be presumed that the Sultan approved it, without knowing of the form the Trengganu design was taking.